My latest full length release, out now on Space in Sound Records. This album is a departure from the workflow of my previous albums and also introduces new vintage equipment to my studio. This includes Roland SH-101 and Juno-60 synthesizers, a Roland MC-505 drum machine and an Alternate Mode DK10 drum pad, which allowed me to use drumsticks to perform many of the rhythm tracks. Everything was multi-tracked through a 1980’s Allen & Heath analog console. This album consists of the first recordings I made with this new equipment in 2016. It represents the point in time where I was feeling out the new possibilities. With most of the equipment I used being made in the 1980s and 90s, I believe this album has a vintage sound, which gets me closer to the music from my past that has been so influential. My latest full length release, available now from Space in Sound Records. Born from the same tape reels as my album Nocturnes, this album features my vintage Roland JX-3P recorded into my beloved AKAI GX-4000D 1/4″ Reel-Reel tape deck. 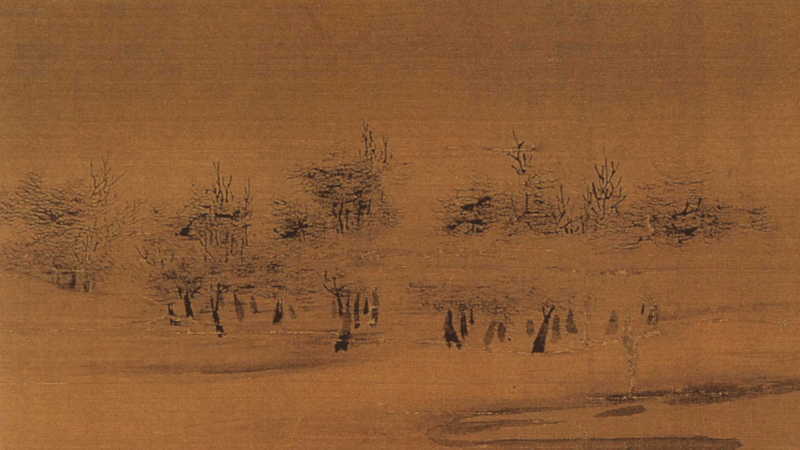 Samples and field recordings were brought in to help tell a story. Lo-Fi Ambient. 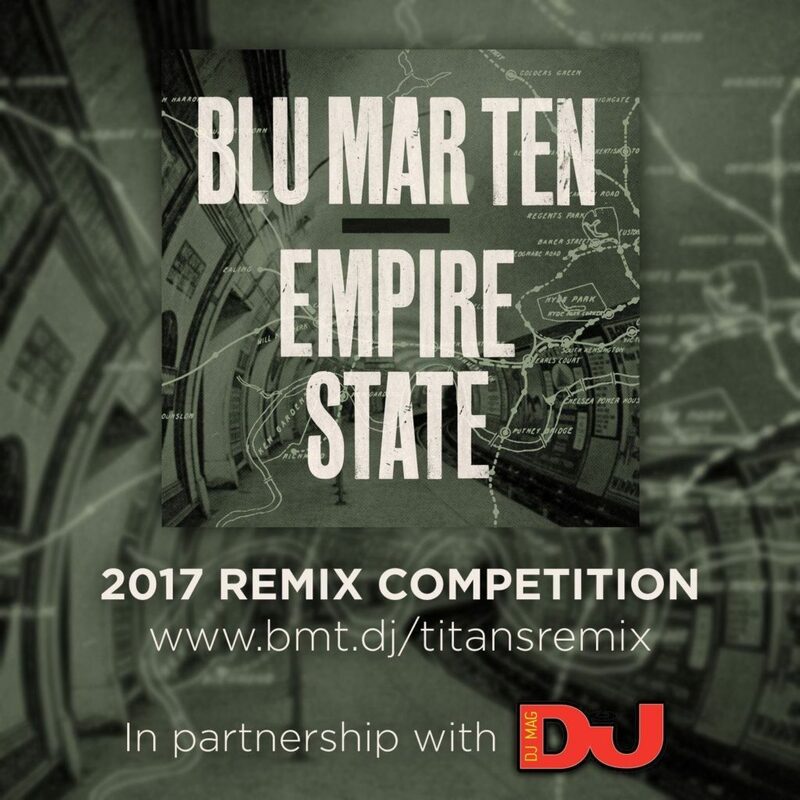 It’s an honor to have my remix get mentioned as one of Blu Mar Ten’s favorites among the 300+ submissions. The remix starts minimal on vintage synthesizers before slowly building into the beat driven climax. You can listen to the remix below. Scott Rouse (Between Identity) will be joining the multi-talented Musician & Artist Jeff Johnston for an audio/visual performance at Swell Gallery in San Francisco, Thursday Feb 25th @ 8:00PM. The duo, going under the name Mon Op, will feature an original video projection show against live Electro-Acoustic music. 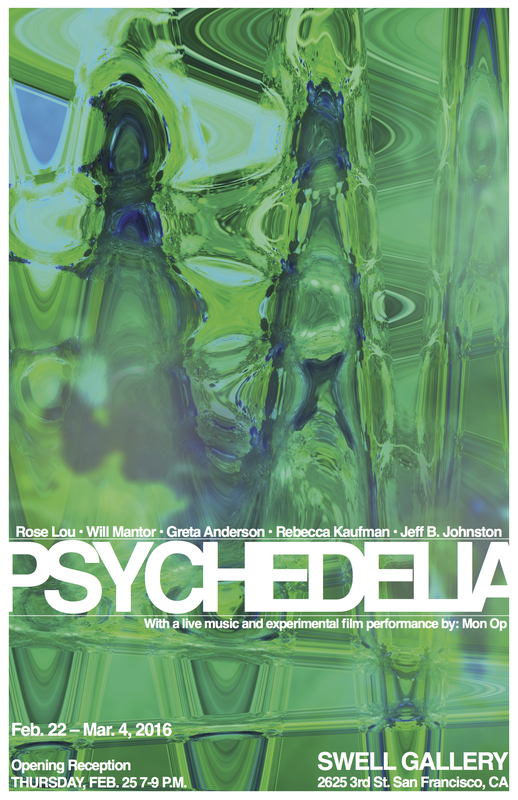 Music and video will follow the theme of the art show “Psychedelia”. Opening reception starts at 7pm featuring works by great local artists. My first full length release, available now from Space in Sound Records. Created during the late night hours in San Francisco, this album features my vintage Roland JX-3P recorded into my beloved AKAI GX-4000D 1/4″ Reel-Reel tape deck. Lo-Fi Ambient. 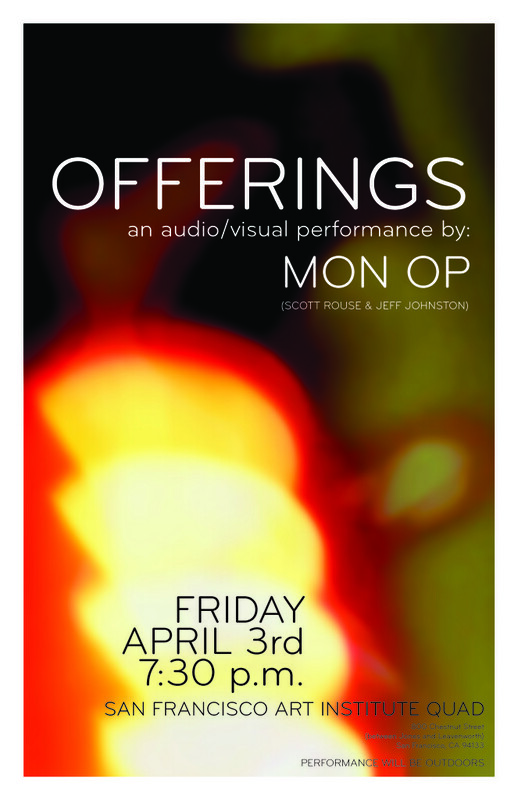 Scott Rouse (Between Identity) will be joining the multi-talented Musician & Artist Jeff Johnston for an audio/visual performance at San Francisco’s Art Institute, Friday April 3rd – 2015 @ 7:30PM. The duo, going under the name Mon Op, will feature an original video projection show against live Electro-Acoustic music. Instrumentation will include Guitar, Banjo, Upright Bass, Vocals, Hand Percussion, and an Electronics / Sampler/ Laptop setup that Scott calls “The Space Station”. The event will be held outdoors starting at 7:30PM. BYOB(L)!